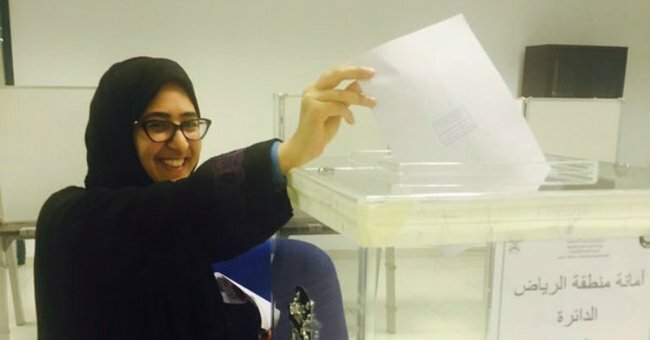 Women elected in Saudi Arabia for the first time. Women elected to government in Saudi Arabia for the first time. They still aren’t allowed to drive, but women in Saudi Arabia have for the first time been elected to government. In municipal council elections held over the weekend as many as 17 women were elected, although the state news service, Saudi Press Agency, has the number currently at four. A ban on women standing for office was lifted in the run up to this election, the third since elections were first held in the country in 2005. Al-Jazeera reported that turnout was around 25 per cent. According to Sabq.org, a news website affiliated with the government, 17 women have won seats, Reuters reported. They include four in Jeddah on the Red Sea; one near Islam’s holiest site, Mecca,and in Tabuk, Ahsaa and Qatif, in the east, Saudi press are reporting. More than 130,000 women registered to vote in the elections, in contrast with over 1.3 million men. There were 978 women who nominated for council seats, and 5938 men. The results have been welcomed. Salma bint Hizab al-Oteibi was the first woman to be elected, running against seven men and two women. Saudi Arabia restricts the freedom of women in many ways, including a ban on driving, being forced to cover themselves from head to toe in public and not being able to leave the country without the permission of a male guardian. There are also strict rules around how women were allowed to campaign. 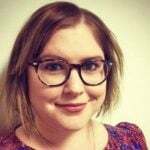 They were banned from talking directly to male voters, with many forced to use social media to reach a broader audience. Earlier this year the country’s Grand Mufti described the participation of women in politics as “opening the door to evil”. Saudi Arabia is an Islamic monarchy, ruled currently by King Salman. In 2011 the late King Abdullah flagged his intention to allow women to vote and stand for election. “Because we refuse to marginalise women in society in all roles that comply with sharia, we have decided, after deliberation with our senior ulama [clerics] and others… to involve women in the Shura Council as members, starting from the next term,” he said. The grassroots “Baladi” (my country) campaign to empower women in politics in Saudi Arabia has been active since 2010, calling for for full participation for women in politics in the country.